Journal Contributor Bob Farwell is a computer technician in Sacramento, California. As a youth growing up in California in the 1960's, Bob was an avid space buff and enthusiastically followed the Apollo program. 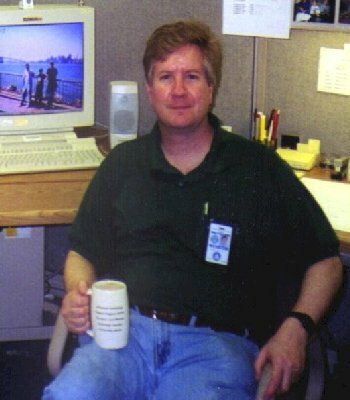 In addition to following the current and past activities of the space program, Bob's technical hobbies include digital photography, computer graphics, and building and networking computer systems. Bob writes: "The Moonwalker Collage was the result of many hours of digital editing. 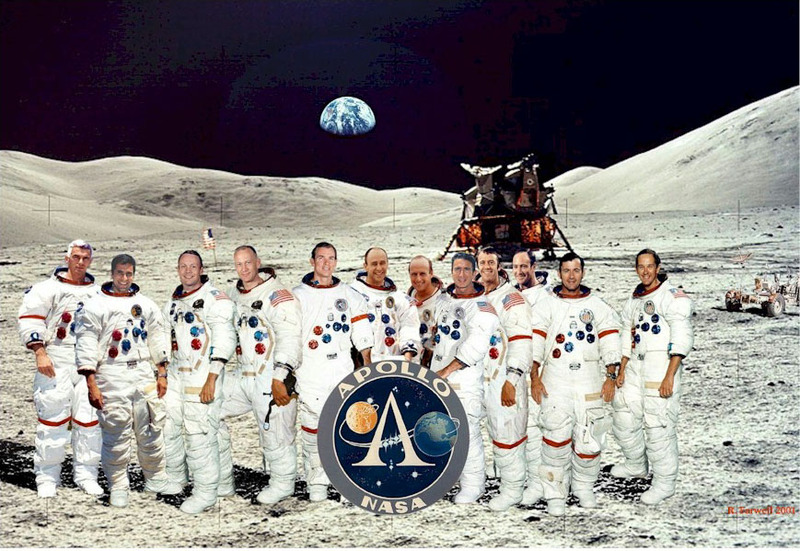 It was not a simple mater of finding the right astronaut photo and cut and pasting it into the background (which, by the way, is Apollo 14 photograph AS14-66-9337 with an Apollo 17 LM and an Apollo 11 crescent Earth). Rather than boring the reader with gruesome details, suffice it to say that only 4 of the 12 astronauts are taken directly from their official NASA portraits. The remaining 8 were put together a piece at a time!"